It's one thing to watch Roger Federer play tennis, it's quite another to actually compete against him on the court. 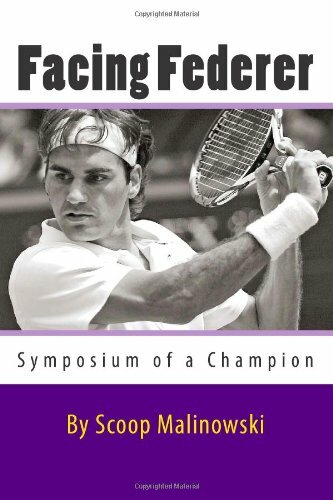 In this book, ATP players like Agassi, Rafter, Hewitt, Nadal, Canas, Blake, etc., discuss their memories and experiences of their professional matches with Roger Federer. Also, as a bonus, many tennis insiders, officials, journalists, photographers, celebrities, fans and ballkids share their unique perspectives and anecdotes of encountering Roger Federer.